hand stamped keychain | dad est. 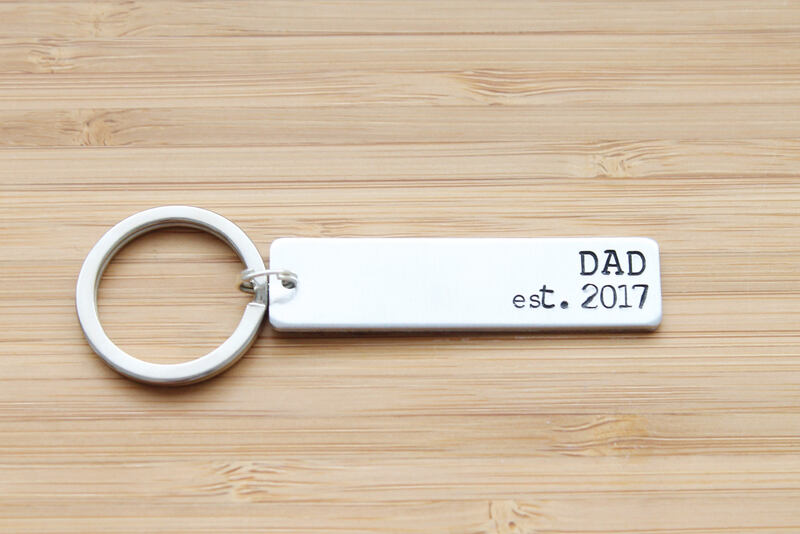 • 1 custom stamped keychain - "DAD est. (custom year)"
Please leave the year in note to sender. • Once your order is placed, you have 1 HOUR to edit it. No cancellations will be made. • I am not responsible for lost or stolen packages if you opt for standard shipping. To secure the safety and timeliness of your package, please upgrade to tracked and insured shipping.